Bristol-Hamnet is a WI-FI mesh network for hamradio operators. The Bristol-Hamnet is based on the "Broadband-Hamnet" aka "HSMM-MESH" which was brought about by Americans. Some people in the UK have setup nodes for HSMM-MESH but there is none in Bristol, so we plan to change that. I highly suggest visiting their website for more info and reading up on what HSMM-MESH is all about in more detail. In its current form it is built using the Linksys WRT54G/GL/GS wireless routers and operates on channels 1-6 of the 2.4GHz ISM band, which overlaps with the upper portion of the 13cm amateur radio band. Other platforms and bands include several types of Ubiquiti equipment in the 900MHz, 2.4GHz and 5.7GHz band. Adidtional features let signals come in on one band and leave on another without additional configuration. 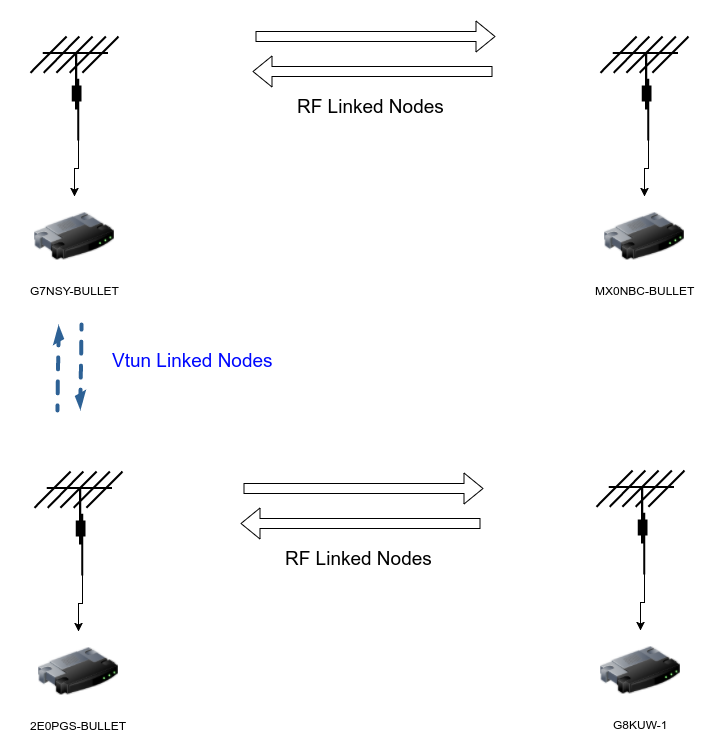 All mesh nodes on all bands exchange data so long as they are within range.